Since about 1938, the Nelson family has been producing superior quality potatoes from Northwest Washington. The building blocks on which the company was founded still stand today with our commitment to “quality, consistency, and service”. 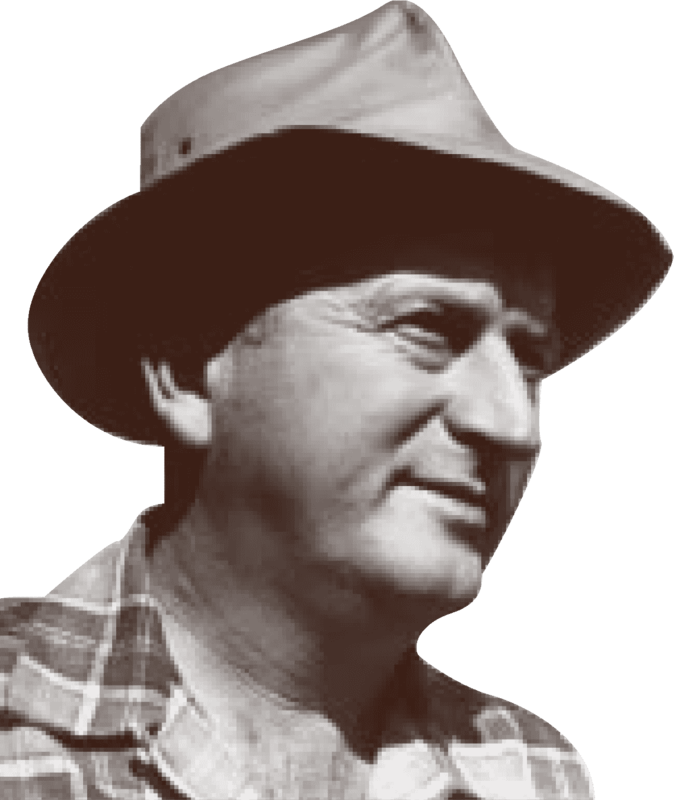 The late founder, Norman W. Nelson (1916-1984), began farming in his early twenties. Norman Nelson started growing potatoes early in his farming career in the Skagit River Valley. This is one of the most fertile growing areas in the world with soils high in organic matter and a marine climate conducive to growing a wide variety of crops. In the beginning, his potatoes were graded and packed by another packing shed in the near vicinity. Then in the middle 1940’s, at the site of the present warehouse, Norm Nelson acquired an old building and converted it to a packing shed to handle his own product. At that time, the Double-N label was born and is still proudly used today. The company grew primarily the “White Rose” variety until the mid 1960’s when “Russets” were introduced to the program. Then, in the early 1970’s, the “White Rose” was phased out and replaced with red potatoes, primarily the “Red LaSoda” variety. By late 1970’s, the “White Rose” variety was once again part of the crop program now consisting of reds, whites and russet potatoes. Another change came in 1985 when Nelsons decided to discontinue growing “Russets”. In the 1990’s yellow and purple varieties were added to the mix and the “White Cascade” variety replaced the “White Rose”. Today Double-N considers itself a “specialty” potato grower offering reds, whites and yellows (along with the purples-available October to March-considered to be more of a “novelty” item). Presently we are in transition on the red potato variety from the long standing “Red LaSoda” to the “Red Chieftain” to meet buyer’s preference for a “shallow eyed” red potatoes.